The Temple Emanu-El Early Childhood Community has proudly served the community since 1983. Our warm, loving, nurturing environment makes us a school of choice for families with young children. Our goal is to give children a good feeling about themselves and a love for learning. 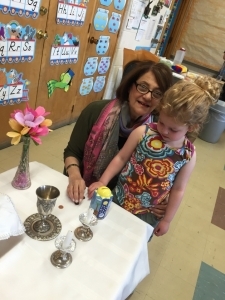 Temple Emanu-El’s Early Childhood Community is a Jewish preschool for children ages six weeks to five years old. 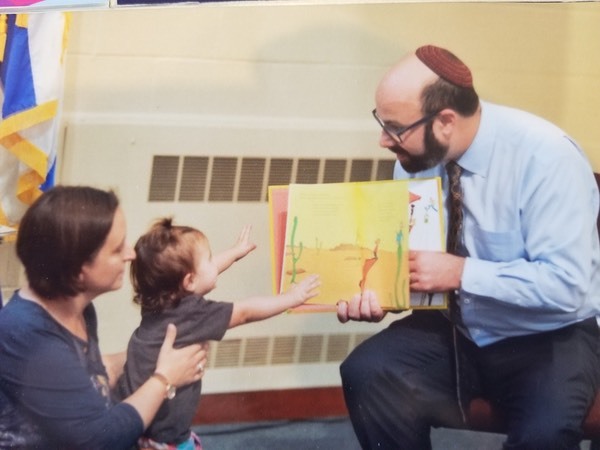 Our children learn about Jewish values and Jewish traditions, as they participate in weekly Shabbat and Havdalah services, blessings before snacks and meals and age-appropriate programming about the Jewish Holidays. At the same time, our warm, caring, professional faculty and our developmentally based curriculum teach the skills and knowledge that provide the foundation for future schooling. Year-round (51 week) programming, open during secular school holiday periods. Our ECC programs are not limited to Temple members. Current and prospective ECC families are urged to consider the many benefits of Temple membership. If you have additional questions, please call the Temple Early Childhood Community Office at (248) 967-4847. We will be happy to answer your questions and schedule a visit with you. For further information about any of our programs, you can download our forms below. Earlycare 7:00 a.m. to 8:45 a.m.
Full Day Program 8:45 a.m. to 3:30 p.m.
Aftercare 3:30 p.m. to 6:00 p.m.
Earlycare 7:00 a.m. TO 8:55 a.m.
Full-Day 9:00 a.m. to 3:00 p.m.
Aftercare 3:00 p.m. to 6:00 p.m.